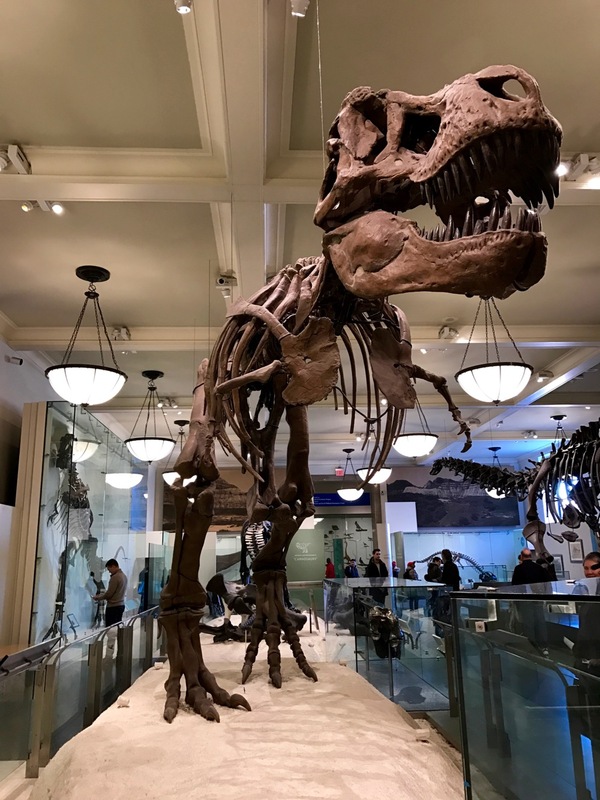 Many of New York’s most famous museums, including the Metropolitan Museum of Art and the Solomon R. Guggenheim Museum, line the east side of Central Park along 5th Avenue, a stretch often referred to as Museum Mile. But crossing the park to Manhattan’s Upper West Side to visit the American Museum of Natural History is a high priority for many visitors, and for good reason: the sheer size and scope of the museum are beyond impressive, with exhibits ranging from human cultures to the the natural world that surrounds us and beyond that to the vastness of the universe. 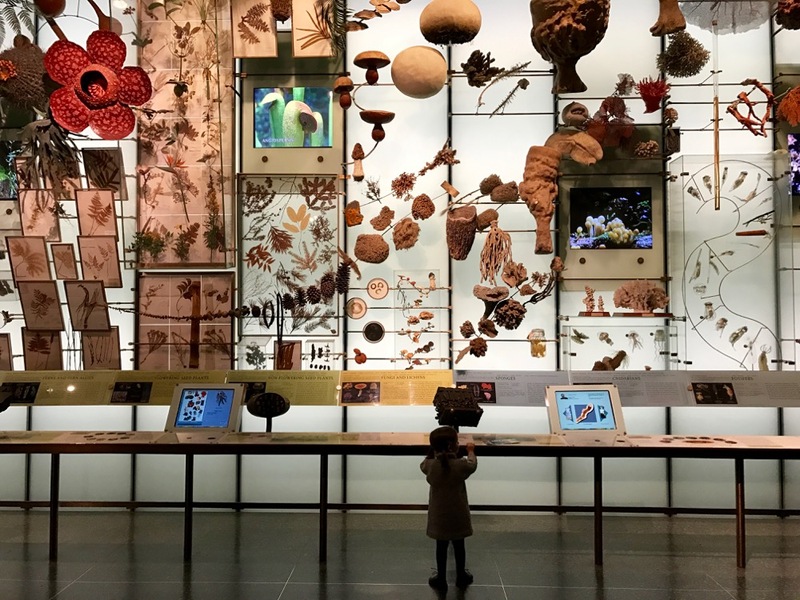 You could easily spend an entire day wandering the halls of the museum, lost in wonder and appreciation for the diversity of the human experience, the richness of the planet we call home, and the mysteries of the galaxies beyond our own. 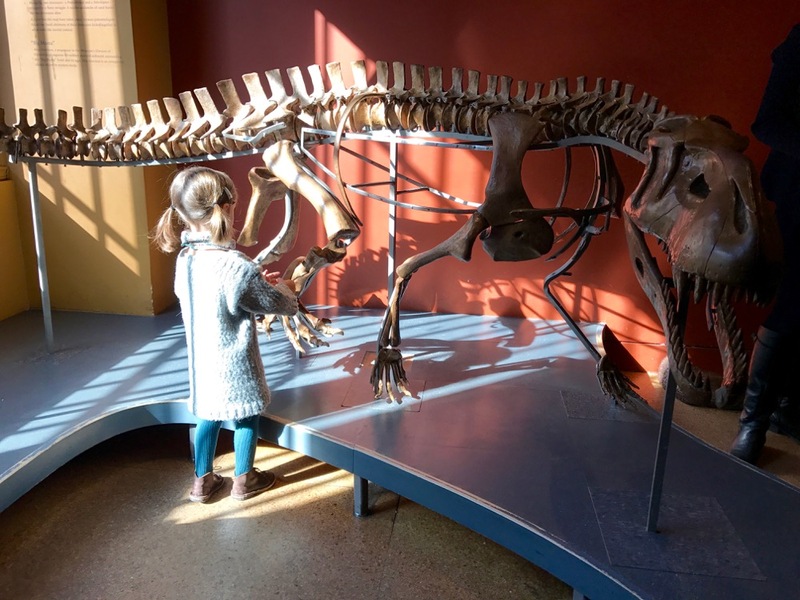 That said, even a more focused visit can be rewarding, and when the temperatures plummeted this past weekend, we spent a happy couple of hours exploring the museum, revisiting favorite exhibits and delighting in the discovery of new (to us) spaces that made the museum even more engaging. 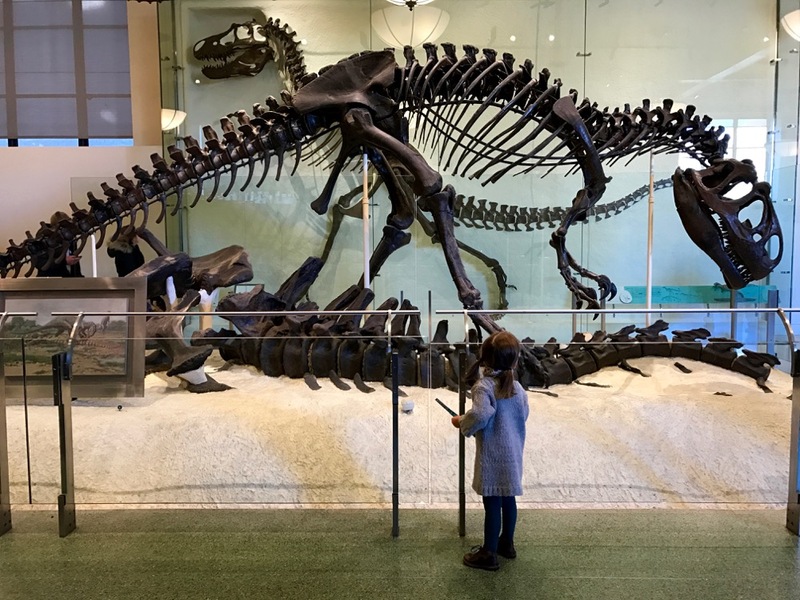 Given its popularity with both visitors and locals, the museum is often quite crowded, so we like to arrive at 10am just as the museum opens and head straight our favorite exhibits so we can enjoy them before they become inundated with people. 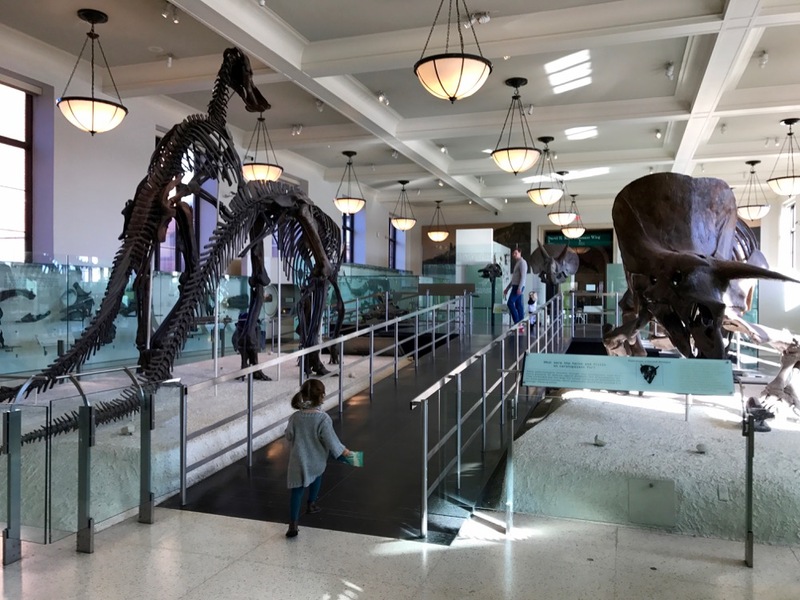 Many times that means heading straight to the 4th floor with the fossil halls and dinosaurs, one of the museum’s particular strengths. 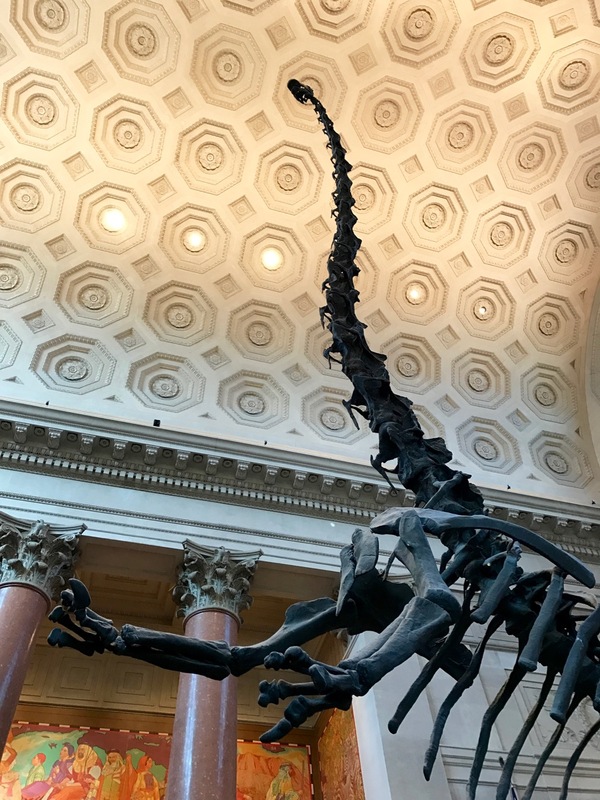 While on the 4th floor, be certain not to miss the room (and adjacent hallway) displaying the Titanosaur, which is new to the museum as of last winter. 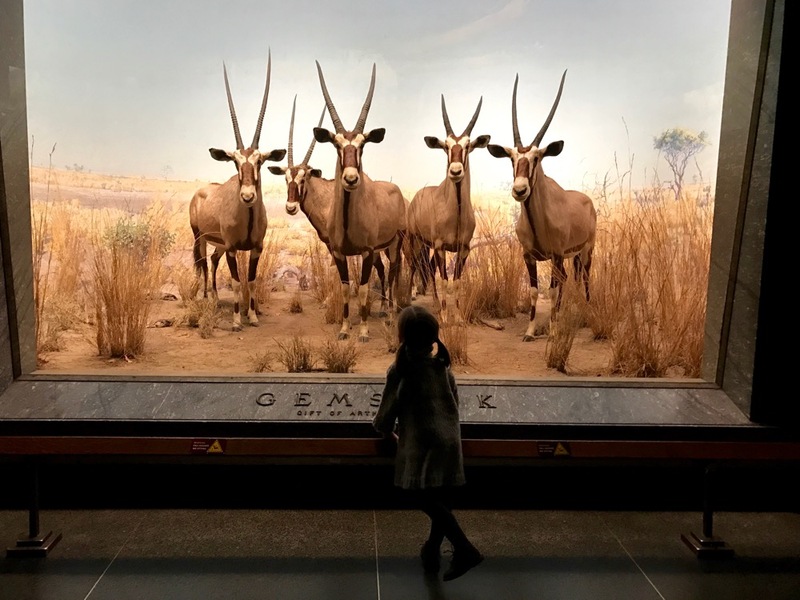 Other areas that always prove popular with my daughter are the dioramas in the Mammal Halls, particularly the Akeley Hall of African Mammals and the Bernard Family Hall of North American Mammals. You can feel the history of the museum here, and I love noting the attention to detail, both of the animals and the habits where they’re displayed. New to us on this last visit was the Discovery Room, tucked away on the first floor off the Grand Gallery. 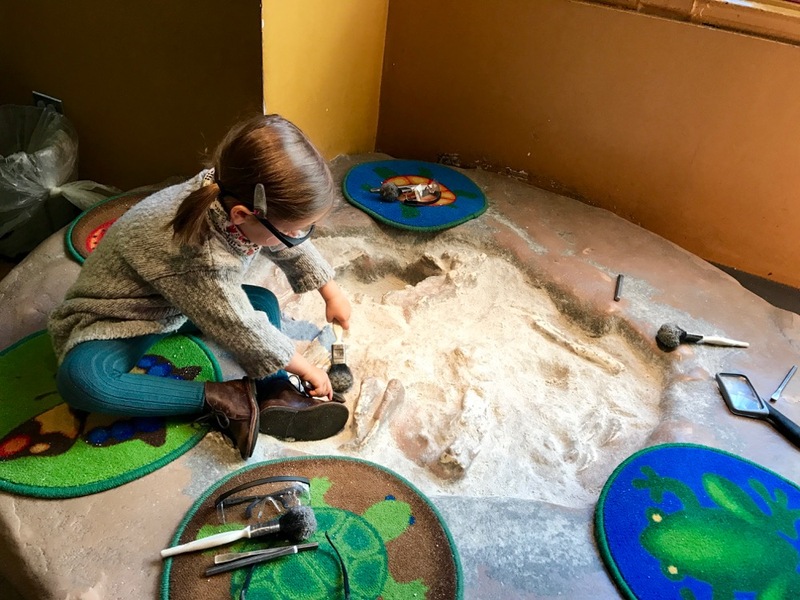 Designed especially for families, this space offers a hands-on, interactive, way for children to experience the museum’s holdings and mission, with activities like assembling a dinosaur skeleton, digging for fossils, and searching for animals and birds in the two story tall baobab tree dominating the main room of the space. 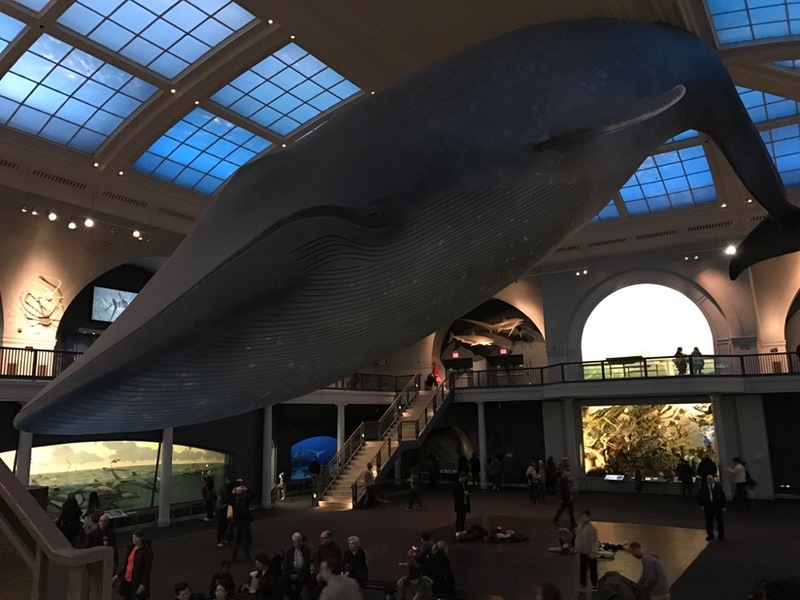 Nearby and also on the first floor are the Hall of Biodiversity, with a stunning, back-lit display of the range of flora and fauna on earth, and the Millstein Family Hall of Ocean Life, where you can marvel at the enormous blue whale sculpture suspended from the ceiling. Beyond the permanent exhibitions, a range of other programming is available, including films, space shows in the planetarium, and special exhibitions. All of these add to the general admission price, but can be wonderful options, especially for slightly older children. You can enter museum directly from the subway at the 81st Street stop on the B and C lines. The beautiful animal and dinosaur mosaics decorating the walls of the station are a sure sign you’re in the right place! Other forms of transport, including bus and parking information, are included here. Tickets can be purchased online ahead of time, allowing you to skip the queue and proceed directly to ticket scan as you enter the museum. Strollers can be used in the museum, though the wait for an uncrowded elevator can sometimes be long, making the stairs a better option for navigating between floors. The museum offers a range of food choices, including a dining hall and several cafes. We typically prefer to eat in the surrounding neighborhood either before or after a visit, and often stop at Hampton Chutney for South Indian Dosas or New York’s favorite mini-chain restaurant, Shake Shack, for burgers and fries. New to the neighborhood is White Gold, a butcher shop and eatery that offers delicious sandwiches, soups, and salads at lunch time. For something sweet after the museum, cookies from Levain Bakery can’t be beat (note that you may have to queue a bit here – the bakery is tiny and the cookies are popular! ).